I was recently asked what I hope for in terms of diabetes management 10 years from now or when Q goes to college in (gah!) seven years. I said that I hope diabetes management is less of a burden for her and less for us, as parents, to worry about, especially if she decides to go to college far away. I am thankful that the Affordable Care Act means that she can stay on our health insurance plan until she is 26 years old. She will be able to have good coverage while in college and grad school, if she chooses, and while she is doing an internship or getting that first entry level job in her field. I mentioned that I hope smart insulin is available because she might have to deal with fewer low and high blood sugars. And the acme for us is the artificial or bionic pancreas. No, a bionic pancreas isn’t a cure. 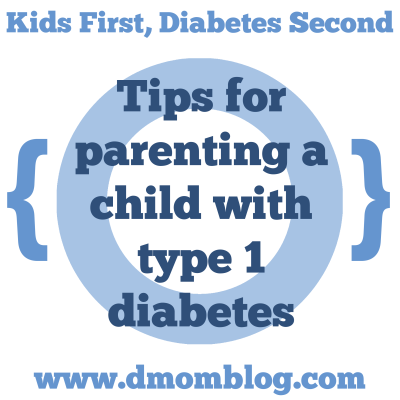 But we feel that it will take away much of the decision making one with diabetes has to make every day and she will be able to eat and be active without worrying so much about high and low blood sugars. Plus, in college, she won’t have mommy there to respond to her CGM alarms in the middle of the night! Available: There are several clinical trials of an artificial or bionic pancreas currently underway by several different research groups and companies using a combination of insulin pumps and continuous glucose monitors and algorithms. Dexcom has been pretty quick to get their latest CGM versions approved by the FDA, but approval might not come so quickly for a medical device that will literally keep someone with diabetes alive and could literally kill them if it fails. We hope that the bionic pancreas is FDA-approved and to market by the time she goes to college. 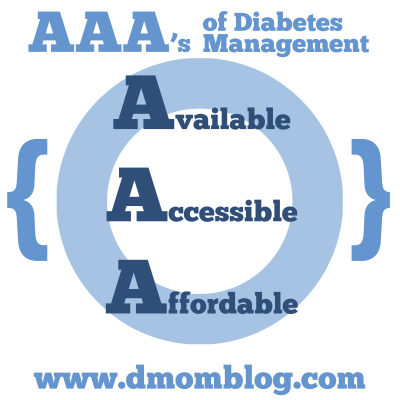 Accessible: As with any diabetes technology, not every insurance company will cover an insulin pump or CGM. If the bionic pancreas is not being covered by insurance companies, it will be difficult for patients to get it into their own hands. As with any new technology, insurance companies may not provide coverage right away and may not grant approval for those wishing to start using it. It has been a fight for many to get insurance companies on board with insulin pumps and CGM’s, not to mention covering the number of test strips one reasonably needs to stay on top of their blood sugar. My hope is that companies bringing the bionic pancreas to market work with insurance companies to show that it has great results and is worth covering. Hopefully they can show that it lowers A1c’s, reduces diabetic ketoacidosis (DKA), reduces severe hypoglycemia requiring medical attention and the use of rescue glucagon kits, reduces long term complications such as diabetic retinopathy and neuropathy, and reduces incredibly costly hospital stays. Affordable: It’s not enough that a new technology for treating type 1 diabetes is available if we can’t actually pay for it. For some families the financial burden of diabetes management can be catastrophic. Even for middle class families, the costs of insulin, diabetes supplies, and technology can eat into a family’s budget and savings. For PWD’s in their 20’s just starting out, there may not be disposable income to cover more than just the basics needed for care. I am afraid that the patient cost of a bionic pancreas is going to be out of reach for the majority of people living with type 1 diabetes in our country. I do realize that it takes quite a bit of capital to engineer the hardware, fine tune the algorithm, put the system through clinical trials, and ultimately get FDA approval and get to market. I realize that companies need to recoup these costs and this usually means passing it along to customers. But a bionic pancreas system that is so expensive that most people can’t afford it doesn’t do much to improve the lives of people with diabetes. My Hope: A bionic pancreas that can keep a person with diabetes within a tight blood glucose range without constant patient decision-making and intervention can have enormous positive effects on long-term physical health and mental health, both reducing complications and reducing stress and burden. As the various artificial and bionic pancreases come to market, I hope that they become not only available, but also accessible and affordable for those people with type 1 diabetes hoping to reduce the amount of focus that diabetes takes each day so they can live life more freely. Q was selected by JDRF to participate in the 2015 Children’s Congress this summer in Washington, DC. This was her second time applying and she’s thrilled that she gets to represent other children living with type 1 diabetes. Our family has many tasks to complete between now and July when we will meet with our Congressmen and women to urge renewal of the Special Diabetes Program (SDP). Our first task was completing a video in which Q introduces herself and answers one of several suggested questions. To see all of the 2015 Children’s Congress delegates, visit JDRF’s website.